We had a yabba-dabba-doozy of a time trying to guess this one! It’s the question that has been weighing on the minds of Americans for two months: What exactly is the mystery flavor in the Mystery Oreo? On Tuesday, Oreo gave us the answer, which can be summed up in one famous phrase: Yabba dabba doo! But this reveal won’t come as a major surprise to the many Oreo lovers (including some at TODAY) who accurately predicted the flavor following the cookie's initial release. Kathie Lee Gifford and Hoda Kotb were both on the right track when they sampled the Mystery Oreo in early October. “Watermelon?” Hoda guessed. “Some sort of a fruit … It’s some sort of melon,” Kathie Lee added. After debuting the Mystery flavor, Oreo also launched a sweepstakes encouraging fans to submit their own guesses online or via text message, with a $50,000 grand prize at stake. The contest ended on Nov. 30 but a winner has not been announced. Putting the guessing game aside for a moment, the Mystery Oreo was one of the more divisive limited-edition Oreo flavors this year. 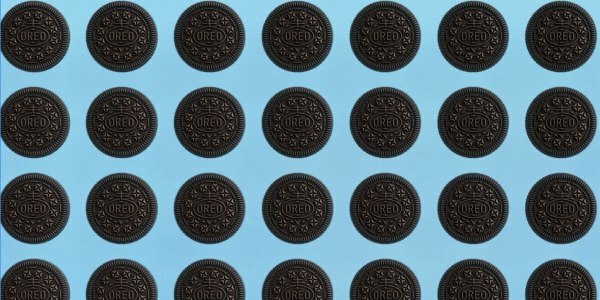 After Tuesday’s big reveal, some fans chimed in on Facebook to let Oreo know exactly how they felt about the cookie. “They were awful me and my dude had 1 cookie each and we both took one bite and couldn't finish it,” one person wrote. “Hm. I thought it was orange scented industrial cleaner. So close,” another commenter wrote. Personally, I liked it, and I haven’t kept a box of Fruity Pebbles cereal in my house since I was a teenager. The fruity flavor complemented the chocolate wafer pretty well — not unlike the Swedish Fish Oreo, another limited-edition flavor I enjoyed but many others didn’t. But I thought it was definitely an improvement over last year’s Fruity Crisp Oreo. Whether you loved the Mystery Oreo or hated it, maybe we can agree that we all had a yabba-dabba-doo time trying to guess the flavor. For now, we'll just have to wait for Oreo's next creative mashup.